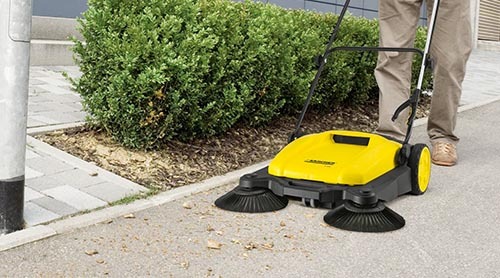 With the S 650 push sweeper footpaths, garage entrances and terraces can be cleaned quickly, conveniently and reliably much faster and with less effort than using a broom. 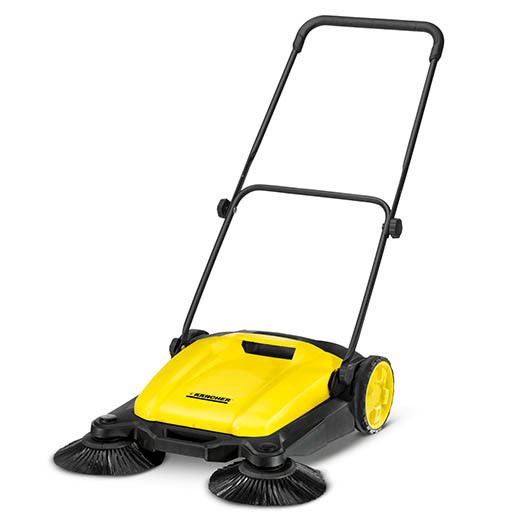 Sweep up to five times faster than with a broom. 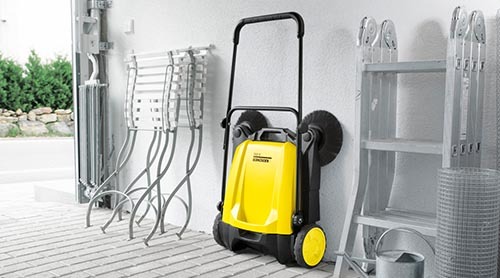 Space saving with a fold down push handle for easy storage. 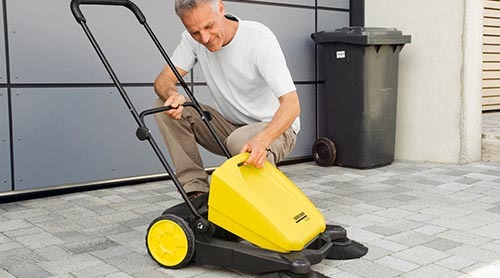 No contact with dirt as the waste container can be easily removed & emptied.